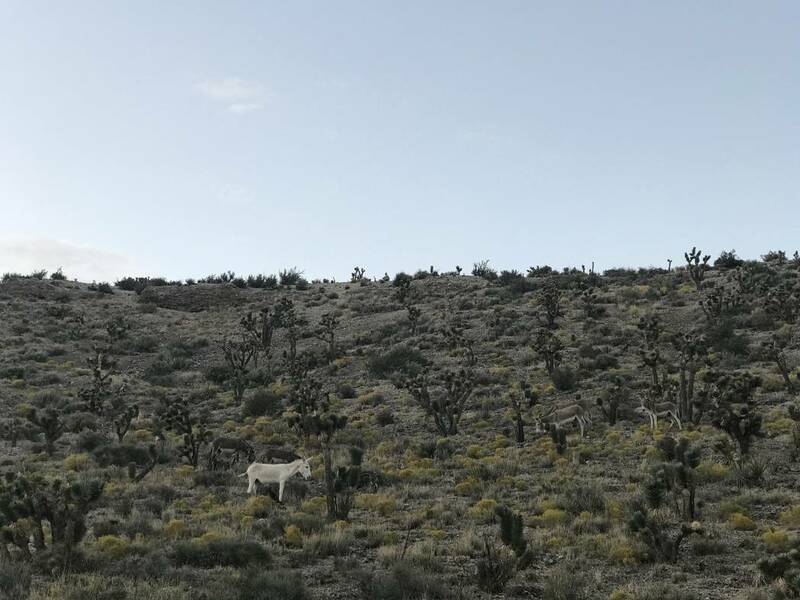 The “cream burro” roaming Kyle Canyon is one of only a few with that coloration among the thousand or so wild burros in Southern Nevada, says BLM specialist Tabitha Romero. 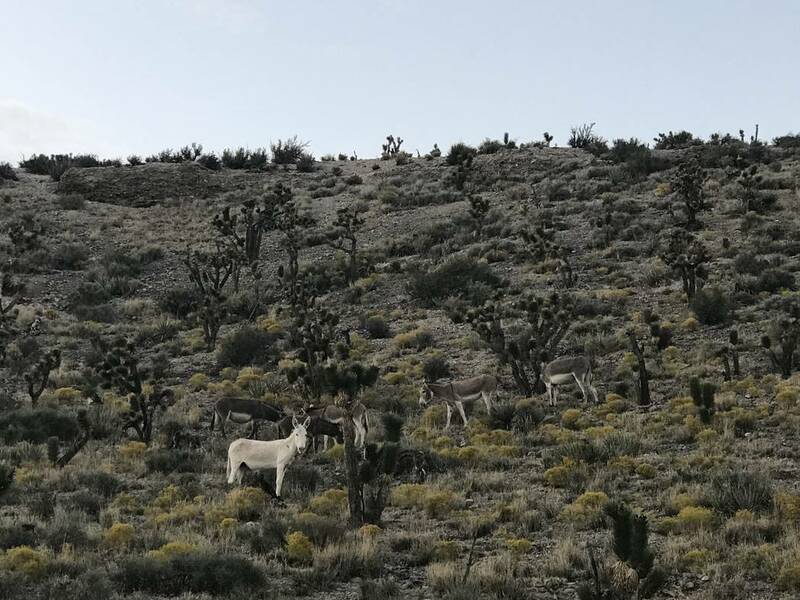 Lucky motorists on Kyle Canyon Road may catch a glimpse of a rare, all-white burro grazing in the desert alongside its more traditional, grayish-brown herd mates. 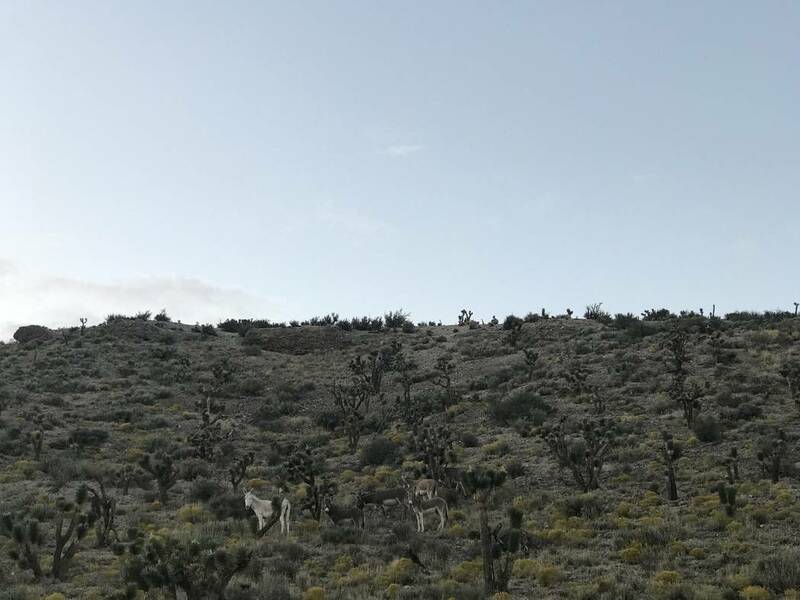 The standout animal is well-known to Tabitha Romero, wild horse and burro specialist for the U.S. Bureau of Land Management in Southern Nevada. 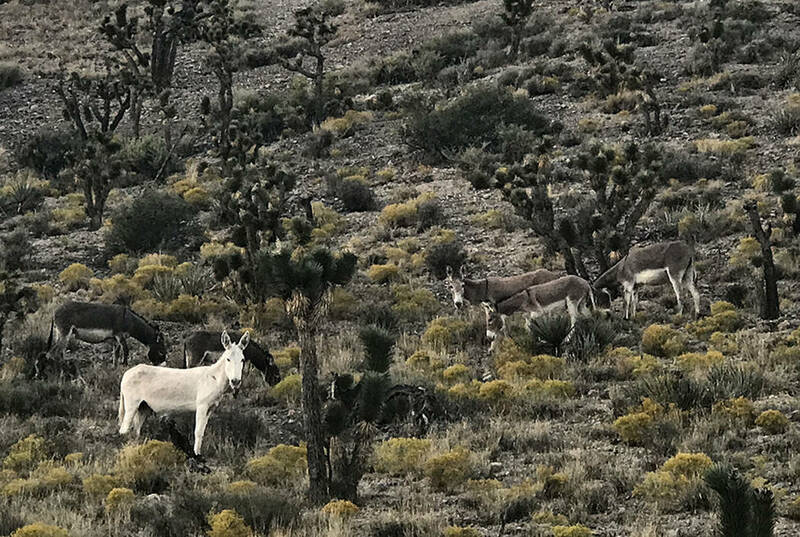 She believes it is the only one of its kind on the eastern side of the Spring Mountains, though she has seen a few other white burros on the Pahrump side of the range and elsewhere in the southern half of the state. “I call them cream burros,” Romero said. They’re not quite albino, but they definitely do not blend into their surroundings as more typical members of the species do. In this case, the unusual white coloring is likely the result of recessive genes picked up at some point from an escaped domestic donkey that bred with the wild herd, she said. The vast majority of wild burros come in grayish brown, with a black stripe at the shoulder and patches of white on their legs and snout. Occasionally, Romero will see them in other shades, including blue, strawberry and cinnamon. All-white or all-black ones seem to be more rare. 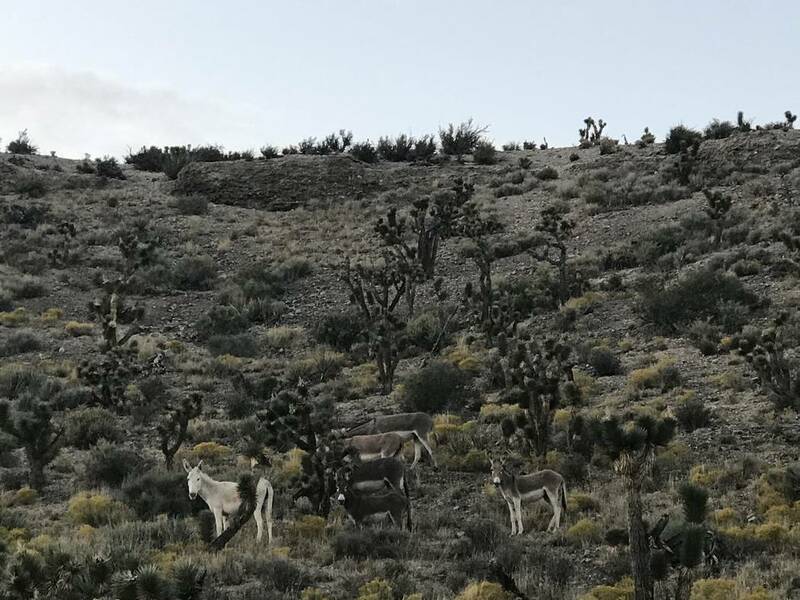 “I only see those pop up once or twice a year” among the thousand or so wild burros in Southern Nevada, Romero said. Just remember: If you happen to see a rare “cream burro,” try not to get too close. “It’s illegal to feed or harass a wild horse or burro,” Romero said, and it encourages dangerous behavior in the animals, namely gathering along roadways in search of a handout. Already this year, about 40 of them have been hit by vehicles in Southern Nevada alone. About the best thing you can do for burros — even the rare, all-white ones — is leave them alone. “They’re so freakin’ adorable,” Romero said, but they’re still wild animals.